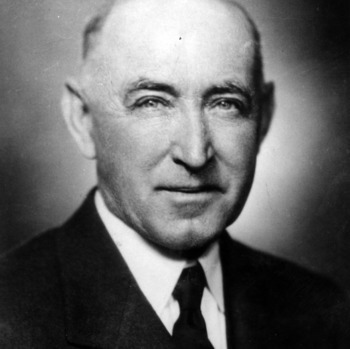 Wallace C. Riddick worked as a civil engineer before joining the faculty at NC State and continued professional service in Raleigh while teaching, including work on rebuilding the city’s water system. 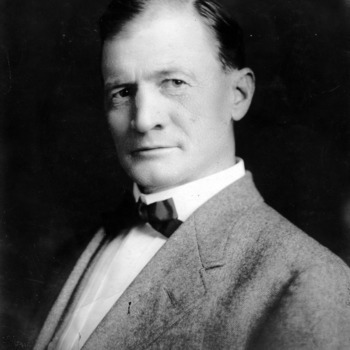 He served as President of North Carolina State College from 1916 to 1923, and was the founding dean of the School of Engineering from 1923 to 1937. Three undergraduate specialties were offered in the Civil Engineering degree program: General Civil Engineering, Highway Engineering, and Architectural Engineering. Architectural engineering program and students were transferred to the new Architectural Engineering Department. The Civil Engineering Department instead offered special undergraduate specialties in General Civil Engineering, Highway Engineering, and Construction Engineering. Structural engineer Wilfred George Geile joined the faculty as Associate Professor of Construction Engineering, and taught construction specialty courses that emphasize estimating, construction methods, construction engineering, and management of operations. 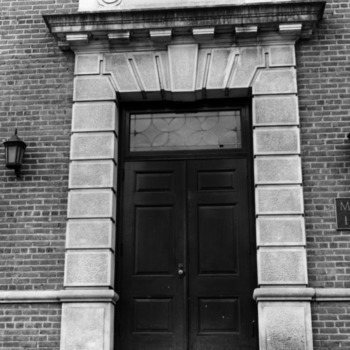 By the 1920s, Winston Hall, shared by Civil Engineering and others, was no longer meeting the needs of the department. 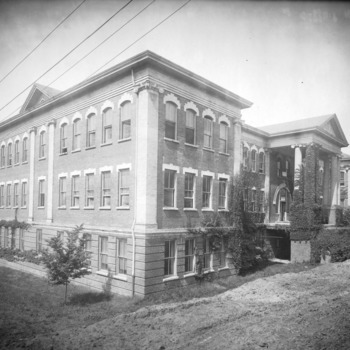 Construction of a new facility named the Civil Engineering Building began in 1927 and was completed in 1928. It was initially a two story building located south of the 1911 Building. John E. Powers of Maple Hill, N.C., was awarded the first B.S. in Civil Engineering with the Construction Engineering Option. NC State receives the first Charter issued by the Associated General Contractors of America for a Student Chapter. A student delegation received the charter at the A.G.C. national convention in Washington, DC, and met with President Hoover. The degree specialty in Sanitary Engineering was added to the Civil Engineering curriculum. 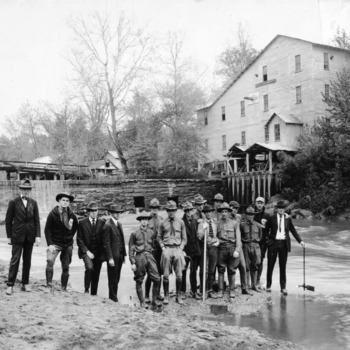 The first North Carolina Building Code was published as Bulletin No. 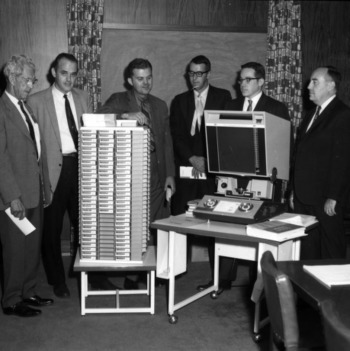 10 of the NC State College Engineering Experiment Station, following efforts by construction and structural engineer Professor Wilfred George Geile to organize and create legislation for a State Building Code. 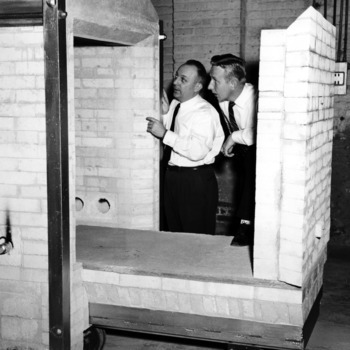 Due to low regular enrollments during World War II, degree specializations in Construction, Sanitary, Structural, and Transportation Engineering were phased out, leaving only the general Civil Engineering degree available. 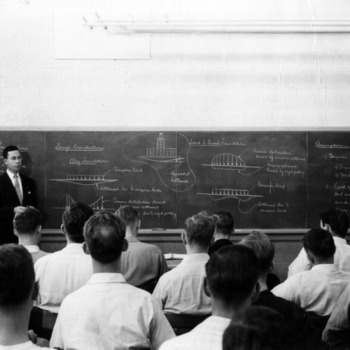 After attempting to reintroduce degree specialties in Construction, Sanitary, Structural, and Transportation Engineering, the department was overloaded with students returning from the war and offered only a "consolidated curriculum in Civil Engineering." The consolidated curriculum included courses from each of the option areas. 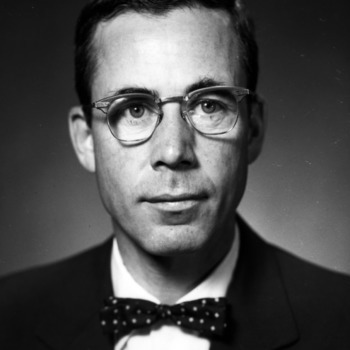 Ralph Fadum came to NC State in 1949 as a Professor and Head of the Department of Civil Engineering, holding this position until 1962. Curriculum developed by Carroll Lamb Mann, Jr., who joined faculty in 1953. 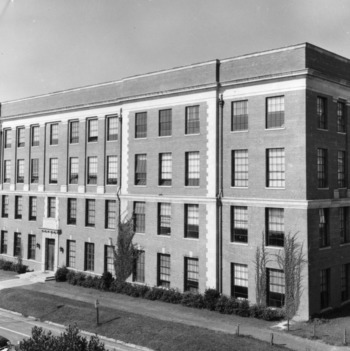 The Civil Engineering Building expanded, 1950-1956, and was renamed Mann Hall after alumnus, retired professor, and department head Carroll Lamb Mann. Mann Hall later became the east wing of Daniels Hall. 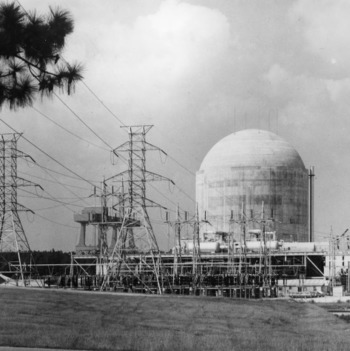 The graduate program at NC State expanded in the 1960s, with a growing emphasis on science and engineering education in the United States following the launch of the Sputnik satellite in the Soviet Union in 1957. Changes were gradually implemented in individual courses, and other areas of civil engineering expanded graduate programs including the first Ph.D. granted in Civil Engineering at NC State. Samia Galal Abdel Hamid Saad of Alexandria, Egypt, becomes the first woman to receive a PhD in civil engineering at NC State. 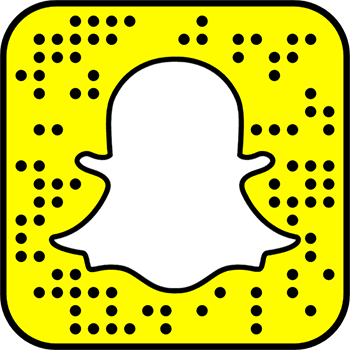 Nunnally and Johnston were hired to re-implement a graduate program specializing in construction engineering. Civil Engineering alumnus Colonel William “Bill” D. Alexander III (CE, '53), was named the 1976 recipient of the College of Engineering’s Distinguished Alumni Award. Alexander contributed his engineering skills to the moon landings of the Apollo program in the 1960s as project manager for the design of the NASA Launch Support Facility. 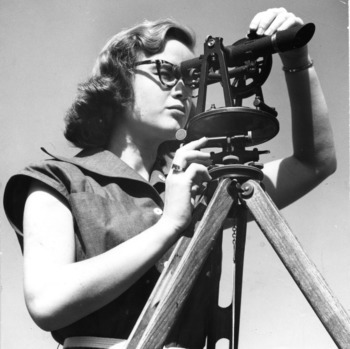 After being suspended in the 1940s, the Master of Civil Engineering and Master of Science degrees in Civil Engineering with a specialty in Construction Engineering became available again. This began a steady stream of graduate degrees awarded with gradual expansion of graduate courses and research. Paul Zia earned his B.S. 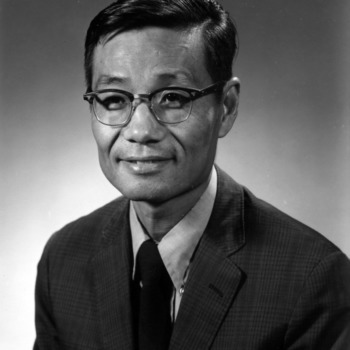 in civil engineering from the National Chiao Tung University of China in 1949, his M.S. 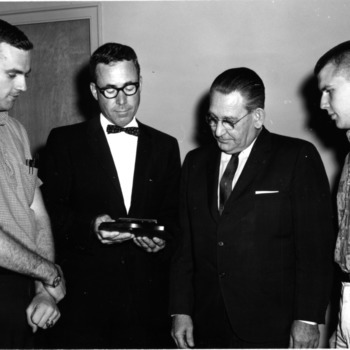 from the University of Washington in 1952, and Ph.D. from the University of Florida in 1960. 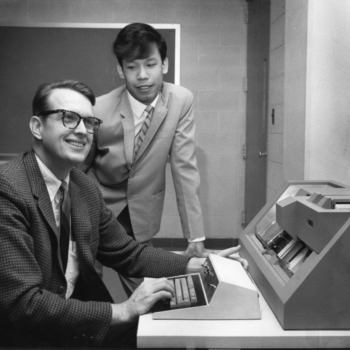 He joined the civil engineering faculty at NC State in 1961. Mechanical contractors in North Carolina expressed interest in having a construction degree program at NC State that would provide a background in mechanical construction, and advocated for the creation of a Construction Management (CM) degree program that was distinct from the Construction Engineering degree. Less math and science was required in the CM degree, focusing instead on economics and business. Based on feedback from students with double majors in Civil Engineering Construction (CEC) and Construction Management (CM), the Construction Management (CM) degree was discontinued. The CEC degree program was renamed Construction Engineering and Management (CEM). Alumni Johnnie Hooper Jones (BSCE ’53), Chairman of Board of J.A. Jones Inc., provided engineering leadership in construction of the Petronas Twin Towers in Kuala Lampur, Malaysia. Construction on the towers was completed in 1997. They were acknowledged by Council on Tall Buildings and Urban Habitat as the tallest buildings in the world. Following the attacks on the Pentagon and the World Trade Center, the Department of Civil Engineering introduces new courses and research on the protection of civil infrastructure and high-risk transportation facilities in the face of terrorist attacks. Debra Laefer began teaching a policy-oriented course called “Protection of Critical Infrastructure and Populations from Terrorist Attack”; Dr. Laefer, John Stone, and Nagui Rouphail led research in transportation planning and design issues, highway infrastructure, and emergency response strategies; and Sami Rizkilla and Amir Mirmiran led research in structural material and design in the Constructed Facility Laboratory, using fiber-reinforced polymer (FRP) materials produced in a very thin-sheet configuration, to be used as ‘wallpaper’ to prevent excessive damage caused by terrorist attacks and bombing. A portion of a steel beam recovered from the World Trade Center was donated to the department by David Griffin of D.H. Griffin Wrecking Company Inc. in Greensboro, NC, and Ronnie Stott (B.S. Civil Engineering, 1997), of the Raleigh office of Bovis-Lend Lease. Griffin led the demolition and recovery operations for Bovis on-site in New York City. The beam was placed on display in the lobby of Mann Hall. 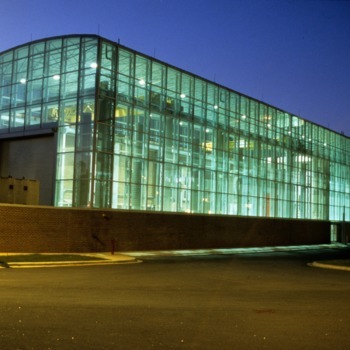 5,200 square foot facility dedicated to environmental engineering research, supporting research programs in water and waste water treatment, contaminant transport and site remediation, solid waste engineering, and molecular microbial ecology.